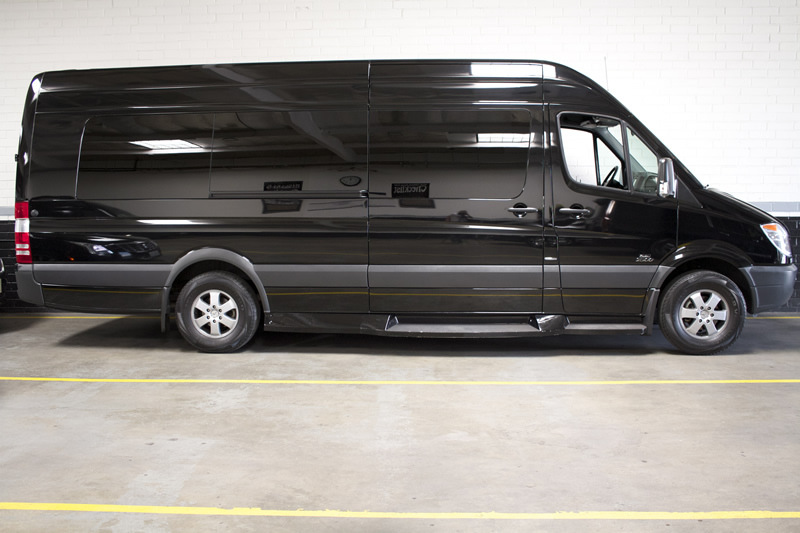 The Los Angeles Sprinter Limo at KLS limousine are perfect for large groups traveling to and from local event venues, and can carry up to 10 passengers comfortably. The large-size buses are built to last and have extra powerful air conditioners running throughout the length of the cabin so every passenger enjoys a comfortable, climate-controlled riding experience. Seats are thickly cushioned and there are ports located throughout the cabin for electronic device charging. The buses have flat-screen TVs window shades for privacy, and ample storage space underneath for luggage.